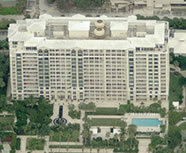 Key Biscayne Real EstateContact Us Now! Key Biscayne is a tropical island paradise located just six miles off the coast of Miami between the Atlantic Ocean and Biscayne Bay. 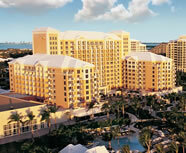 It is a world-class resort community and vacation destination. The island of Key Biscayne is seven miles long and two miles wide, situated south of Miami Beach and to the southeast of Miami. You can reach Key Biscyane via Rickenbacker Causeway, originally built in 1947. The northern part of Key Biscayne is Crandon Park, the southern part is Bill Baggs Cape Florida State Park, and the middle section of the island is the Village of Key Biscayne. Key Biscayne real estate is amongst the priciest and most sought after in the South Florida area because of its location and its surrounding beaches. 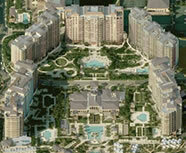 Real estate in Key Biscayne is divided. 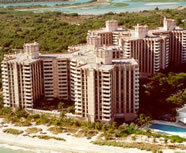 Most of the oceanfront condo buildings are on the East side of the island and houses and villas, some of them bay front and canal residences, are on the West side of the island. 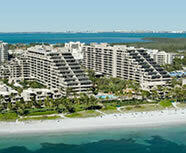 You can find oceanfront condos with spectacular views and luxurious amenities. 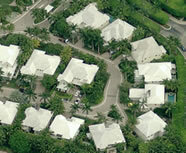 Single family homes with lush tropical landscapes also dot the island. 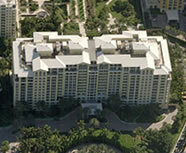 There are several large condominium buildings on Key Biscayne such as the Key Colony and the Ocean Club. 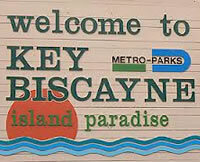 Key Biscayne has a long history. The Tequestas were the first known inhabitants having settlements on the island sometime between 1,500 and 2,000 years ago. During his first mission to the "New World" in 1513, Ponce de León charted the island. The first permanent U.S. citizens to take up residence on Key Biscayne were Captain John Dubose, wife, five children in 1825, when he became the first lighthouse keeper for the new Cape Florida Lighthouse. After WWII, the Rickenbacker Causeway was built, connection the island to the mainland. In 1951, Mackle Construction Company began offered new homes on the island for $9,540. Incorporated as a Village in 1991, it is now one of the most preferred areas of Miami to live and to purchase real estate. 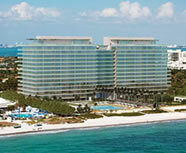 Key Biscayne is home to the historic Cape Florida Lighthouse, Crandon Park Beach and some fabulous vacation resorts. There are accessible paths for joggers, bikers and in-line skaters. It can also boast of some great picnic areas, casual outdoor dining places, boutiques and fine restaurants.